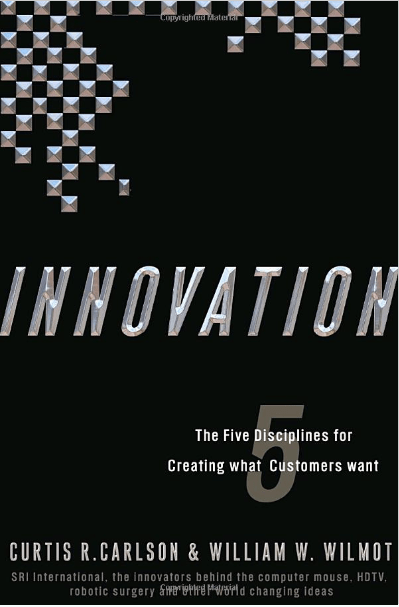 This is a great practical guide to Innovation. More than anything else, I like the way these guys define innovation: innovation is the process of creating and delivering new customer value in the marketplace. Defining innovation is important because it’s such an overused buzzword. It’s also important because it’s pretty hard to dig into the deeper layers of a subject if you can’t even define the top layer. They argue (convincingly) that these things – in and of themselves – cannot be innovations. Only when NEW VALUE is DELIVERED to a CONSUMER does something qualify as an innovation. You might consider it semantics, but I think it’s actually the backbone of product development. *It’s always risky to endorse something some emphatically. Maybe the authors of this book are actually terrible people, or maybe the company is doing something really negative to the environment. I have no knowledge of these things; I just like this book. Don’t judge me. Also, this endorsement is probably only for the first half of the book; it somewhat loses steam toward the end. Collaborating as an "innovation team"